Social media marketing has emerged as one of the most cost-effective online marketing strategies. 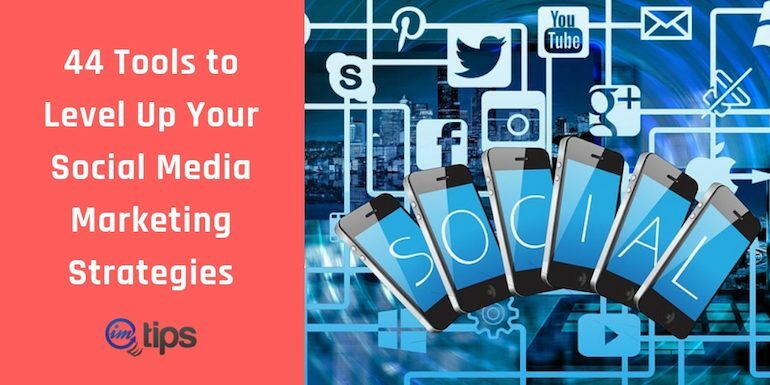 For an effective social media marketing campaign, you need the right tool that will help you to craft, manage and post content to the right user at the right time when he is online to make the most of your efforts. Here, is the list of 40+ social media marketing tools to help you manage the social media marketing in a very effective manner. Buffer lets you schedule and helps you manage social media posts across widely used social channels. A user has access to customize every single post for individual platforms. You can start using a free account managing 3 social media pages and 10 posts per pages. Hootsuite is a powerful tool for a social media marketer or manager. It offers more than just scheduling or posting on social channels like bulk scheduling using a CSV file, custom analytics reports, premium app integrations, custom branded URLs and more. IFTTT aka “If This Then That” is an awesome social media automation tool saving a lot of time by integrating multiple platforms, apps and website. IFTTT works in a different way. For example, if you post a video on your website it will create a tweet. MeetEdgar is fun to use. It includes 25 social media accounts management, an unlimited library for content creation and social media strategy call. MeetEdgar has a smart composer to auto-generate post content. Coschedule is a sure shot for in-house marketing teams, agencies, Small Businesses, Solopreneurs and Educational Institutes. Draft marketing strategies, organize your blogs, social profiles, visualize promotional activities and engagements. Bitly shortens your URLs and let you post the same in order to look better. 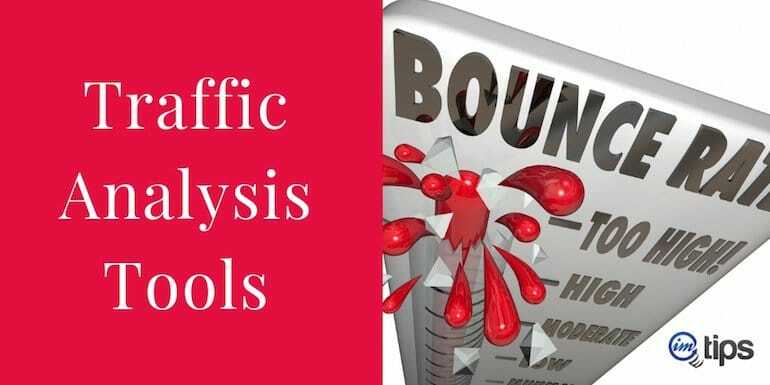 Its less of a social media management tools but it becomes important when you want to do individual link analytics. Tweetdeck is a multi-columned interface to manage your twitter account. It shows the most current trends, messages, notifications, followers, scheduled post, mentions, activities and lot more. It makes twitter more enjoyable. 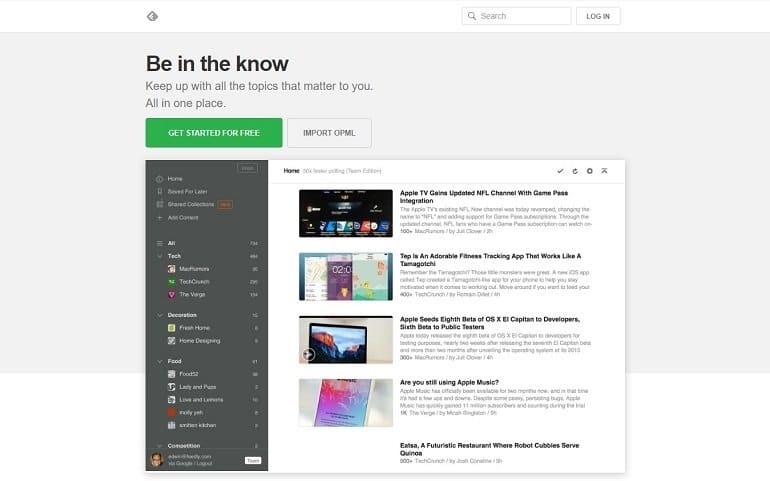 Feedly is more of a content creation tool. For example, say you are following 10 blogs. By adding those 10 blogs to your feedly account will help you create a creative post out of them which can be shared on your social media pages. I like using sprout social for my projects. It helps individuals, small & large business groups to monitor customer’s social media activities, schedule daily content and analyzes data to tailor future strategies. SocialBee is your Social media autopilot. Its an all under one roof content posting, recycling, growing followers, engagement tool. It helps a user to post a mixture of different kinds of content on social profiles. In short, no specific kind of content. SocialOomph is simple, without rocky graphics, but what makes it unique is the overall functionality of the interface. Users can upload a set of post to randomly distribute on different platforms. Oktopost is specifically for a B2B enterprise to manage their social media channels. Oktopost helps users to schedule post & measure the impact of the post that is important to the business. Tagboard works on hashtags. Select a hashtag to automatically generate a content around it. A user can feature its content in 3 different ways using tagboard hashtag. It can be integrated into a user’s web browsers too. Followerwonk is for Twitter. A user can see the locations of followers, maximize time to tweet, compare follows and followers for meaningful insights. The best part is you can know when your followers are active so that you can post engaging contents. Everypost helps the user to tailor content on a single platform pulling altogether engaging contents from relevant multimedia channels like youtube, Instagram, facebook, etc. This was you can create, schedule & manage creative contents for your pages. Tailwind is for Pinterest and Instagram smart scheduling like a PRO. A user can manage multiple Pinterest boards, pin at once, bulk upload and more. Monitor Instagram & Pinterest followers, boards, repin, like and a lot more with the tailwind. Agora Pulse is a simple yet powerful and affordable social media tool. Users can publish, get unlimited reporting & post scheduling, social CRM, do facebook competitor analysis & calculate facebook ROI. An image speaks a thousand words. Every social media marketer needs optimized images to decorate their post. Visage helps you to create optimized images for your social media campaigns that are engaging on multiple platforms and devices. Audiense allows users to select relevant audience that really matters to their business and strategize social marketing campaigns accordingly. Audiense is mainly used for twitter platform. Want more followers on twitter? Try Tweepi. It helps the user to find relevant Twitter users those who are interested in their business, brand, product or idea. Then Tweepi engages with them by following or adding them to the list. Socialbakers helps users to make informed marketing decisions based on the analytics data. Users can compare their performance with their competitor and get valuable data to effectively budget and boost their own campaigns. Socedo is for the B2B business category. It searches relevant buyers on social media channels those who fit their buyer’s specification. Once the user has accumulated a set of target audience it can segment the same & start promotion. SocialFlow allows marketers to sell sponsored distribution of their top content in real time. Get a clear idea about what to publish, at what time and on which platform. Hit the exact audience with SocialFlow. Brand24 gives you a clear idea about what your audience thinks about your brand, product or business. Brand24 gives you instant access to mentions about your brand across the web, from social networks to influential publishers. Typito is for creating text videos for marketing. It’s a drag and drop video making tool. It gives you access to all business features, 40 Full HD Videos per month, 5 Users per team, 100% video rollover, 10 exports per video, Custom fonts, Facebook/Youtube Upload, Square & vertical formats and more. Social Pilot helps a user to connect and manage 50+ social profiles from one unified social media scheduling tool. You can also export all data into a presentable PDF report. Review and update your posts before scheduling. Zoho Social has some interesting features that users will love. They can’t only schedule a post but save it as a draft item to discuss with other team members. Zoho Social is a sure thing for you if you want to know what matters to your business across social networks. Likeable Hub allows you to share stories using thousands of content ideas, generate referrals & leads for your business, manage your brand reputation, excel your reach, measure your online growth and lot more. Great social media content is what you need and Friends+Me does that for you. It has features like content cross-promotion, draft support, link shortening, team building with co-workers and friends and more. Sprinklr is an all-in-one solution for your social media posting, reporting, analysis, etc. It is not just a tool but an overall platform to grow your business & drive leads. If you love Instagram and if your customers are on Instagram then you got be using Iconosquare. The detailed analysis, new features, monitoring multiple accounts and content is the USP of Iconosquare. BuzzBundle helps you with broad social media coverage, publish messages in social accounts, Gather all brand mentions under one roof, optimize your workflow, unlimited personas and social profiles, create a brand new social profile as well as add existing ones. Click To Tweet is the easiest way to promote, share, track and analyze your content on Twitter. It gives an easy view to track past links that the user has created. Click To Tweet has a suggested users widget to increase followers by suggesting them your twitter account. Fanpage Karma allows you to keep track of your social media channels daily and measure your success. You can analyze engagements, best times for posting, best topics, types of posts and more. A user can do this not only for his/her own page but for competitors’ pages as well. 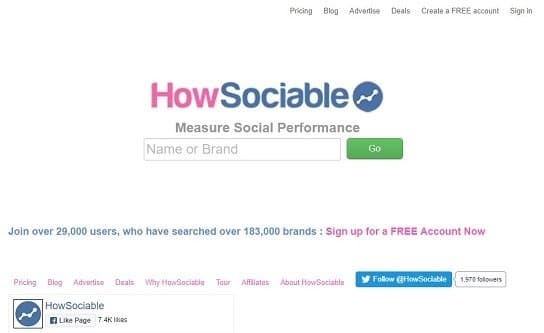 HowSociable can be used to compare your brand against similar ones so that you can take a realistic measurement of your online presence and set targets that are in line with your growth strategy. Fastory is integrated with Instagram, Snapchat, Facebook & Twitter. Create stunning stories and share them instantly with your audience. From inbound marketing to social media Fastory does it all for you. Bundle Post is simple to use. You can track your social ROI and not worry about running out of content. It is mobile responsive and a user doesn’t require social logins. As Bundle Post says its cheaper than a coffee. Mavsocial changes the way you connect with your audience and manage your social profiles. Schedule your posts in advance using the campaign calendar. Users can preview posts to make sure they’re consistent across all social accounts. Facebook Insights is an easy tool for online marketers and individuals wanting to track user interaction on their Facebook Fan Page. It can help you track the number of active users, engaging content and much more to better understand page performance. Owlmetrics is for Instagramers. If you are much into Instagram then Owlmetrics is your catch. Get real-time actionable analytics for your Instagram accounts. Pocket has an impression of being a bookmarking tool but actually, you can do a lot with it. A user can save and tag content from his/her smartphone, tablet or computer to their Pocket account. In short, accumulate the best content that you find online, save to the Pocket, Schedule it and share the same whenever and wherever you want. Canva is not a social media management tool but one can craft really beautiful content using it. Whether it is a social media post design, covers, slides for videos or even infographics, Canva does it all. Track your Twitter activity using Twitter Counter. A user can fetch real-time historical mentions and retweets, monitor the keywords that are relevant, do competitor analyses and more. Hubspot offers social media tool to publish social media content, analyze social media reports, engage with the exact user and strengthen the online presence. Preview is an exception in this list because it is an Instagram App used for scheduling photos, videos and albums for free. Its free for single user limited to one account with unlimited posting and basic analytics features. It’s simple to use due to its drag and drop interface and runs well on mobile devices. These 45 social media tools can help individual users, marketers, small and large business owners to scale their online presence. An important thing to note here is that social media is just a part of the plan.